When talking about advice or tips regarding patio cover plans and ideas, it is important to take into account the homeowner’s needs and also site limitations or specifications. Even before you begin digging that first footing, the right plans will be necessary to get you off on the right, well, foot. One could argue that the design element of your patio should come even before your plans are drawn up. If you didn’t already guess, there are many different design styles that you could incorporate regarding your patio space. Professionals are often brought in to make an outdoor kitchen as functional and user-friendly as any commercial kitchen space. Sometimes, deciding among the many different options presented to you can be dizzying to choose from. How do you know if you picked all the right options you wanted in your space? When you get to the point of feeling exhausted or overwhelmed, you may opt to get help from a professional. If your patio cover designs feel like they reflect your personality and the way that you use your home, then you know you’ve chosen well. We’ll cover a few of the popular designs here. You can modify and expand upon the basic patio choices reflected here. Since most people have some sort of budget for their design, there are not infinite possibilities. Building practices and innovative materials have brought even more possibilities to patio cover options and choices. You will find that there are several categories or styles of patio covers. 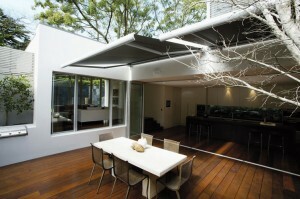 The patio roof itself can either be an open or closed style. The type of roof refers to whether or not you are looking to allow (partial) sun or rain to enter your patio area. There are building materials, such as wood, metal, vinyl, synthetics and even fabrics to consider as well. Your next choice will be regarding either a free-standing or attached style of patio structure. Shades and awnings are typical and common accessories that can help with many patio shading needs. Yes, there is much to consider in the design phase. Use photos and images from both online sources and fine home magazines to get your design concept figured out. If you think about it, patio cover projects are like any other home remodeling job that reflects both your personal taste and style. The attached or free-standing pergola style patio structure is a very common and handsome way to go. A pergola is a flexible way of achieving an elegant patio structure that can be accessorized to dress it up or down. An open roof with maybe a lattice top is the classic pergola style. If you go with wood, your pergola will require some maintenance, but will also reflect a very modern and warm character. If your patio cover designs call for a pergola, you will be building the framework for a great patio area.